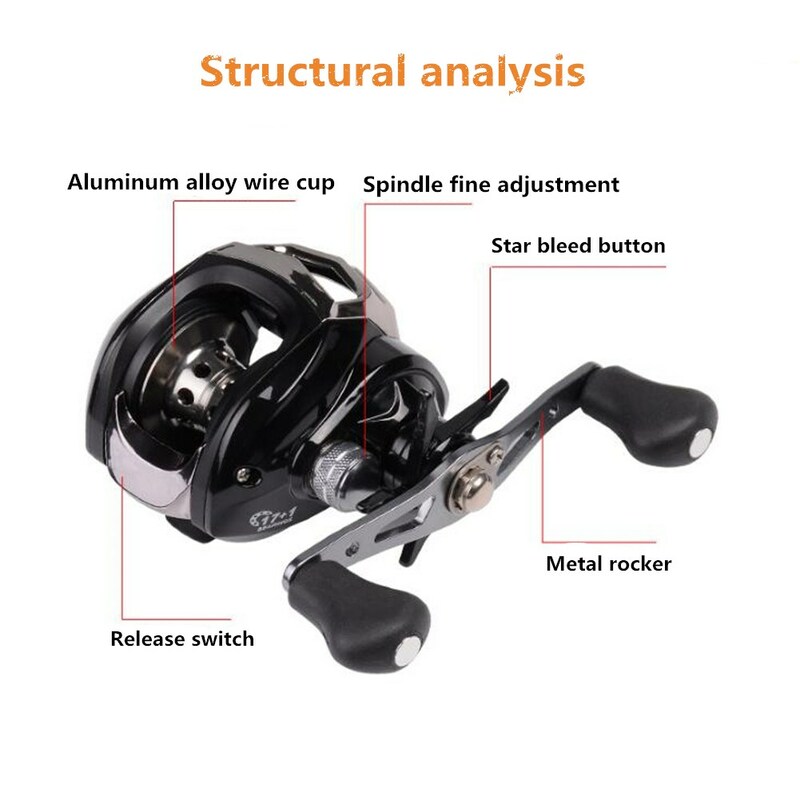 Successfully Added 17+1BB 7.1:1 Aluminium Alloy Fishing Wheel Left Hand Baitcasting Reel to your Shopping Cart. 7.1:1 Gear Radio--Super fast line retrieve. Magnetometric Brake--Stop the line fast and effectively. Material--Made of Aluminium Alloy, lightweight, powerful and high strength. Starlike Turnplate--Unload the force in line strike and help to retrieve the line easily. Fine Adjustment Knob--A rotary knob used on the fine adjustment of line casting speed, guarantee a better performance.